8-time Mexican National champion Paul Kerbel has created a unique campaign to find some great new talent. 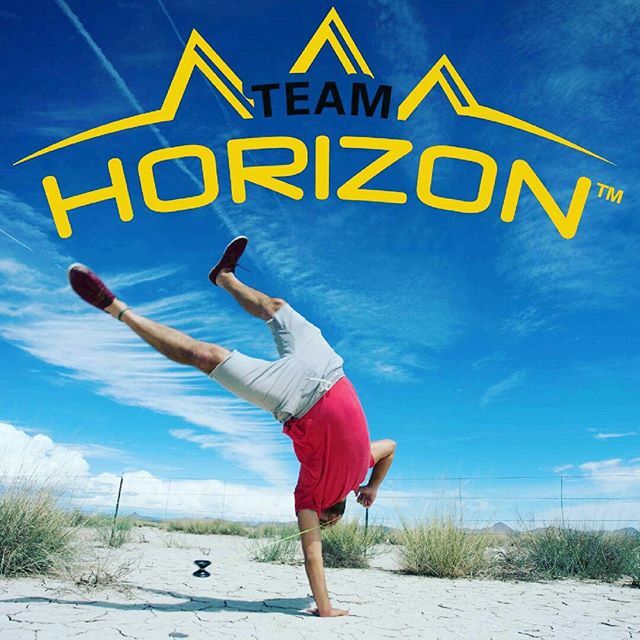 It’s an open invitation to anyone and everyone to try out for Team Horizon, and those that are chosen as part of the team will be eligible win an even grander prize: a full sponsorship with YoYoFactory. 1. 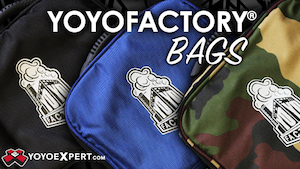 Post videos/ photos on your Facebook or Instagram using YoYoFactory Horizon. Seems like a neat way to seek out fresh talent…post and tag your tricks for a shot at sponsorship! Duncan Crew Worldwide Lineup Finalized! A couple of weeks ago we got the huge news that Duncan Toys was trimming their team way down to just a core group of their most active members. This led to a ton of speculation and lots of questions as we all waited from official word from Duncan on who would remain on the team. Today YoYoNews is proud to give you the exclusive jump on the final Duncan Crew roster! Looks like the final team is a much more manageable size, and filled with their most active players. Looks like a great lineup for Duncan moving forward…congrats to everyone who made the cut, and I hope we can expect big things from all of them. General-Yo has added a new member to their team….15-year old Tal Mordoch from Israel! 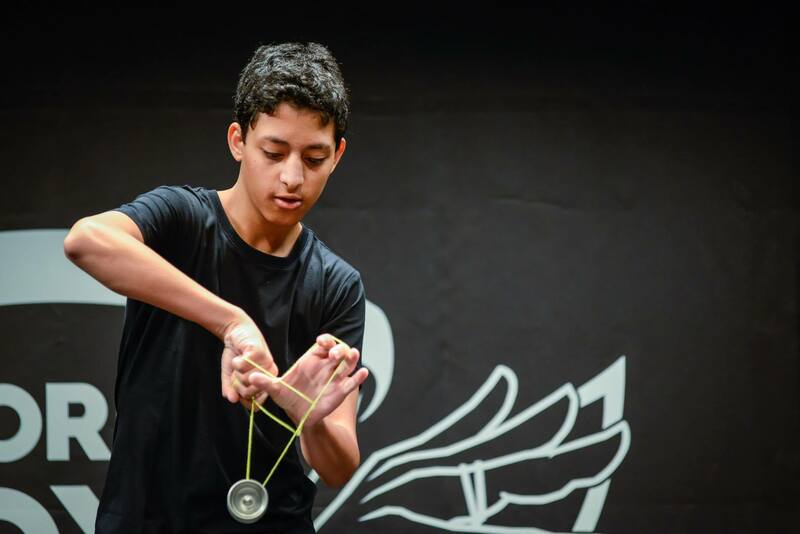 Tal is part of the young but fast-growing yoyo scene in Israel and is (I believe, someone correct me on this if I’m wrong) the first Israeli yoyo player to make semi-finals at the World YoYo Contest! Monkeyfinger has announced their 2014 team, with two additions…Chris Allen and Dylan Benharris. Full line-up is listed below…congratulations to Chris and Dylan on their new sponsorship. – Chris Allen: Director of Operations – Chris brings veteran level knowledge and experience to the MonkeyfingeR team. After a 5 year run driving YoYoSkills.com and a string of successful Cal States contests, Chris deliver a wealth of knowledge, a honed point of view and a lifetime of industry know-how to the MonkeyfingeR lineup. – Shannon Rifenburg: Online Promotions – By now, everyone should be familiar with the product and unboxing videos Shannon is known for. Shannon has a great eye for online promotions and community involvement that and will be looking after internal videos, unboxings and tutorials for MonkeyfingeR. – Tony North: Team Player – Tony is best known for his SMOOOOOTH style, he is always entertaining to watch just how fluid throwing a yoyo can be. His videos have been highlighted on a number of community websites and proves daily that age is not a factor. – Vero: Team Player – Vero is an amazing player from Idaho who brings a unique style to our team. Her outside the box thinking and constant desire to push the envelope makes her a hot commodity in the industry. Vero is proof that new yo-yo concepts don’t need to fall into a category. – Dylan Benharris: Team Player – Despite his young age, Dylan brings a decade of competitive player experience to the MonkeyfingeR team. His speed and technical precision have gained him notoriety as a player to watch. His constant desire to improve both himself and his yo-yoing is an inspiration to us all. – Will Hahn: Team Player – Will is a great unknown dark horse that you will be a fan of without even knowing it. He has an amazing ability to create tricks that are both fun to watch and mind boggling. What looks like simple combinations will have you cursing his name as you try to pick apart the trick to learn yourself. He is an incredible talent that is poised to climb the competitive ladder in both 1A and 5A. OneDrop has added two new players to their team; Daiju Okamura and Tsukasa Takatsu! Congratulations to both players, and we look forward to seeing what they bring to OneDrop’s team. 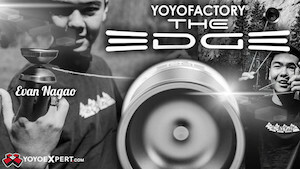 YoYoFactory has added a new Czech player to their much-vaunted Protége team, Matouš Tomeš! This promising 14-year old has won the last two contests he entered, and has shown great style and creativity in his short time throwing. Matouš will be mentored by multi-time Czech National YoYo Champion, Vashek Kroutil. We just got werrd (ha ha see what we did there? sorry.) that Ivan Maslin has joined the Werrd Wrecking Crew. Congrats Werrd and Ivan! Check out this video and see why…Ivan is a talented young player with a smooth style. Nice job! Jacob Jensen has officially joined the Werrd team of sponsored players, and it seems to us like a perfect fit. Jacob, better known on yoyo forums as “Elephark”, is one of the most creative technical players out there, and his videos are usually just banger after banger. Congrats to Jacob on his sponsorship, and to Werrd on picking up another tremendously creative yoyo player for their roster! World YoYo Champions Team Shaqler did an amazing demo at the 2013 World Hobby Fair in Japan as part of Bandai’s Hyper YoYo promotion. Using the “Keep Yo Soul” theme song for the current Hyper YoYo Campaign, it looks like Team Shaqler did an amazing job of getting a ton of kids interested in becoming yoyo players. Having performed at the World Hobby Fair in Japan I can say that it’s pretty intense….it’s a consumer-based trade show (similar to Comic Con) with upwards of 10,000 50,000 kids barreling through to see the latest and greatest in Japanese toys, games, and hobbies. Companies like Bandai, Sanrio, Capcom, Takaratomy, Konami, Nintendo, and more show up with their absolute best to capture the hearts (and yen) of Japan’s massive kid market. Many vendors offer special limited editions, available only at the show and this year it looks like Bandai offered a very special edition of their popular Hyper Cluster yoyo (pic below). Retailing for only 2,310 yen (about $25 USD), this white, gold, and black limited edition Hyper Cluster is sure to be popular with kids and collectors. CLYW has announced that Michael Kurti is the newest addition to their contest and demonstration team! Michael is a solid player who’s unique and flowing style is going to be a perfect fit for CLYW. Congrats to Michael and CLYW! YoYoFactory has a history that goes back almost as far as modern yoyoing in Russia. In 2007 we sent the first international Pros into Russia for more than a decade. We have watched, and supported the growth of one of the youngest and most active YoYo scenes on the planet. YoYo in Russia is no longer a new novelty, it is a real sport. This is our Team. CLYW has announced the addition of Mark Mangarin to their team of sponsored players! Mark is a fantastic player with a unique style of trick composition, and he’s going to fit in great with the rest of the amazing talent on the CLYW team. Congrats to Mark and CLYW!